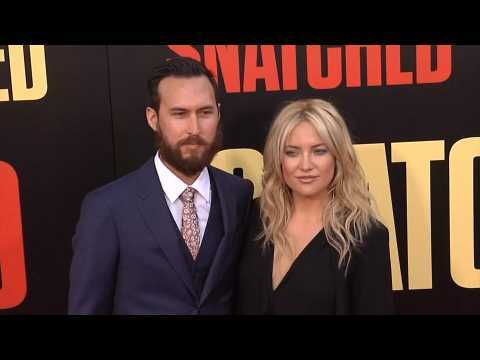 Home > Kate Hudson wants "pump out" more kids! Kate Hudson wants "pump out" more kids! Kate Hudson has revealed that she would love another baby soon, despite having only just given birth to a daughter in October! New mum Kate Hudson has shared that pumping her breasts is a full time job at every awards show she attends so much so in fact that she has to take her milk machine with her everywhere so that she can rush off to use it at a moment’s notice. New mum Kate Hudson has jokingly urged her boyfriend to "hurry up and propose" after falling in love with a daring bridal look debuted during Paris Fashion Week. Kate Hudson admits it can be difficult to "juggle" her life as a mother of three, but she's loving the challenge. 'Almost Famous' actress Kate Hudson has revealed shed bans her kids from using their phones and iPads at the dining table.